We're now on Steam! Click here to download. 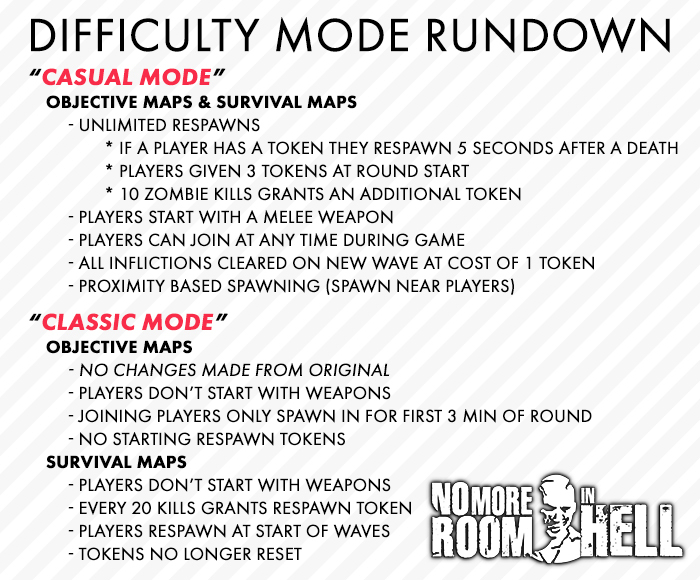 April 17th, 2015 by Riley I'll update the news post when the actual release happens but we're uploading our patch files up to Steam, and the changelog is listed below. It's a bit long to read! 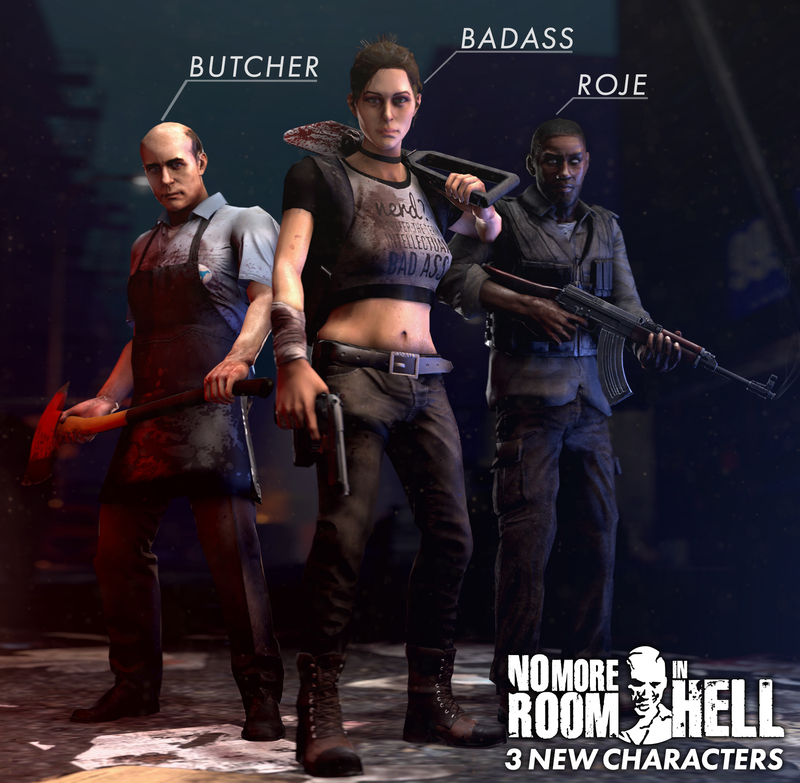 GameFront names No More Room in Hell Soundtrack one of the 7 best of 2014! 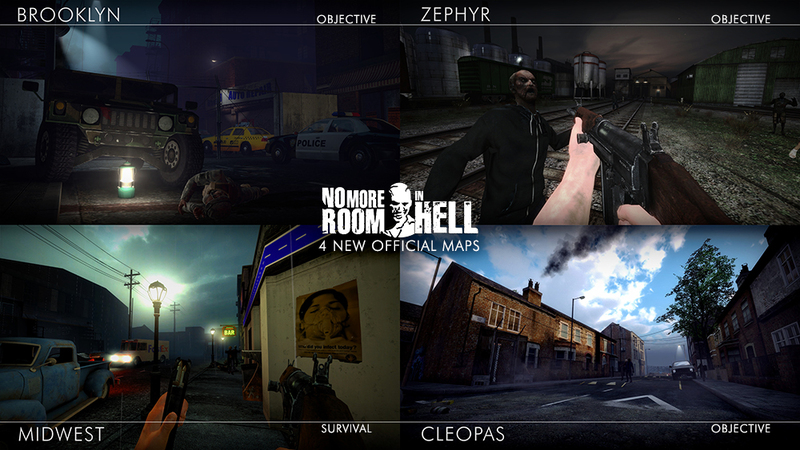 January 2nd, 2015 by Dman757 GameFront reviewed the No More Room in Hell Soundtrack as one of their top picks for game soundtracks this year. "...the soundtrack created by Garrett “ThoughT” Lindquist is much more thoughtful, and sorrowful, than that premise might first suggest." Check out the rest of the review after the jump. Vote for No More Room in Hell! December 14th, 2014 by Dman757 We made our way into the Top 100 mods on ModDB! Now you can vote for us to push us towards victory in the ModDB Top 10 MOD OF THE YEAR Awards for 2014! Just go to this link and vote for no more room in hell! We're pleased to announce that our OST will be coming to Steam & Bandcamp this Halloween! We've released a couple tracks already on our Bandcamp page which also has the album currently avaliable for preorder. Click here to check it out. 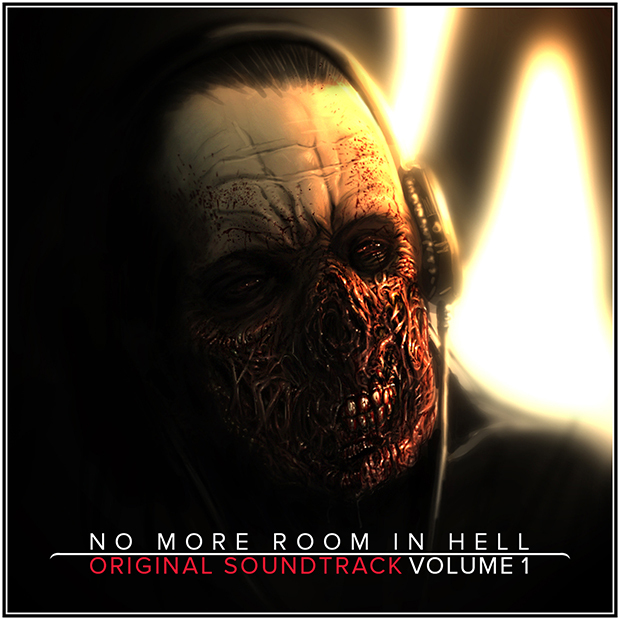 "No More Room in Hell - Original Soundtrack Volume 1" by Garrett "ThoughT" Lindquist presents over 45 minutes of music from the Source mod "No More Room in Hell." Each track has remastered for this release by Andrew Glassford. Bandcamp purchases have a wide array of formats to choose from. The steam release comes with both MP3 320 and FLAC for the audiophiles out there. We hope that you will continue to support us and pick up this amazing album, if you like the music in the game you will love this! We'll be releasing a few tracks on our youtube page as well. You can check out the announcement trailer by clicking the image at the top of this post. August 19th, 2014 by Dman757 So 1.08 is set is planned to come out later tonight if testing goes well. For those of you who can't wait a few hours we have a beta branch live up on steam which you can find out how to access here. Free beta 1.08 Steam update is coming soon! 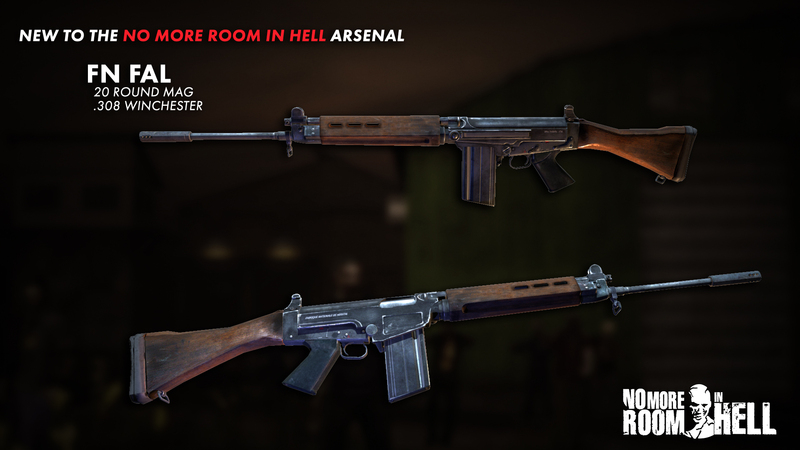 It will include the FN FAL, gunshot suicides, two new official Objective maps + two community maps, difficulty levels and new player spawning! Changelog will be posted sometime next week.